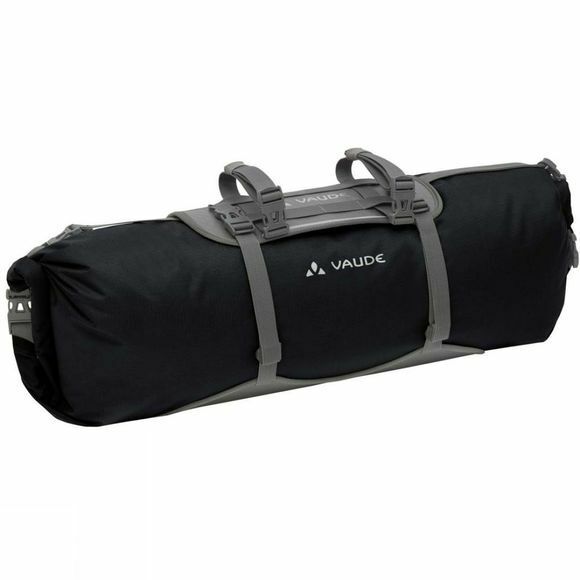 The Trailfront Bag from Vaude is made from welded, PVC-free materials, you and your friends will no know limits. This 19-l packsack is easily accessible from both sides and an excellent choice for light gear like a thermal mat and sleeping bag. A practical feature: a strap for carrying the Trailfront over your shoulder. Flexible compression straps keeps things secure while you're riding. 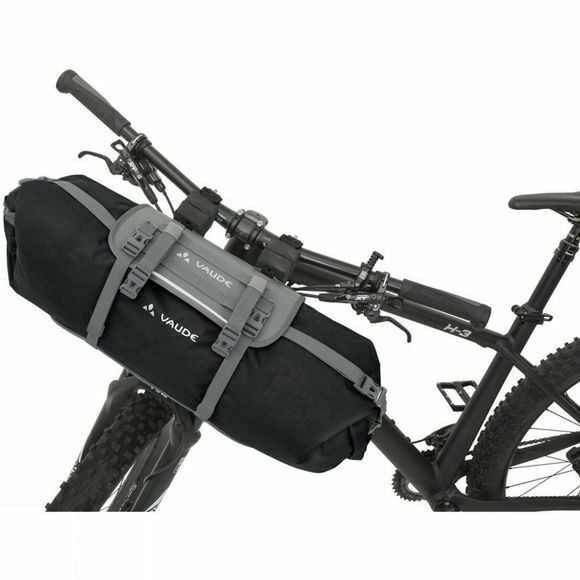 You can also attach more gear or even a tent using the exterior pack straps. The frame construction is easy to attach to your handle bar. Attachment is width adjustable and a practical spacer ensures you'll always have enough room for braking and shifting. This product is made with Eco Finish, an eco-friendly, fluorocarbon-free, water-repellent finish (PFC-free). The Vaude Green Shape label stands for environmentally friendly, functional products made from sustainable materials.